A Custom Interview Guide (CIVG) consists of a customized Performance Profile with a structured Performance-based Interview, phone screening script, and a Quality of Hire Talent Scorecard for a specific job. These tools greatly enhance the traditional behavioral interview by obtaining detailed examples of a candidate’s major individual and team accomplishments, and then benchmarking these against the required performance for the position. We call this process job matching. This approach allows us to look at behaviors and competencies as components of the results achieved rather than individual outcomes. The Talent Scorecard ensures that the interviewer measures the total person – thinking skills, competencies, motivation to do the work, team skills, ability to achieve results, and potential. 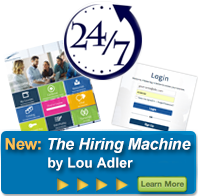 The Adler Group has created these types of guides for sales, customer service, retail, temporary summer workers, nurses, and many other types of high-volume positions. This is a clear description of what the person taking this job needs to do in order to be considered successful. It describes the key performance objectives, the main process steps needed to achieve these objectives, and the environment and culture involved. It has been shown that when a performance profile is used as the measuring stick to assess candidate competency, interviewing accuracy is dramatically increased. This is a two-page Performance-based Interview that can be used by a recruiter or hiring manager to quickly assess candidate competency and interest for a position. By quickly reviewing key areas, inappropriate candidates can be quickly eliminated. This is an interview designed to accurately assess a candidate’s competency and motivation to perform the work described in the performance profile. A structured interview like this has been shown to increase interviewing accuracy. Accuracy is further increased when used in conjunction with a job profile. The assessment interview also includes techniques to minimize interview bias and emotions as well as methods to increase candidate interest. Our evaluation form, completed by each interviewer, combines performance, behaviors, skills, and competencies into one comprehensive assessment tool. This is a great way to effectively capture everyone’s input to the hiring process in a logical and professional manner. Each of the performance objectives described in the performance profile are ranked on a 1-5 scale based on answers given during the interview. This way incoming candidate quality can be objectively measured. The preparation process for a custom interview guide consists of a series of interviews with hiring managers and top performers to develop the initial job profile. From our interviews and benchmarking, a series of performance objectives will be established defining on-the-job success for each position. Obtaining agreement from the hiring team is a critical first step in increasing assessment accuracy. This is an interactive process with The Adler Group preparing a series of draft profiles and then reviewing them with the working team. It takes two iterations to finalize the performance profile and reach agreement. Once the profile is completed, a customized structured assessment interview is prepared. Once the interview is completed, a customized Talent Scorecard is prepared for the position defining the most critical factors for on-the-job success. A 1-5 ranking scale is prepared for each of these factors incorporating competencies, motivation, skills, and behaviors. This dramatically improves the accuracy of the job match, the primary determinant of success. This job profile and evaluation can also be used for on-boarding and as part of the performance appraisal process.